Thirty years after his untimely death at the Chateau Marmont on Los Angeles's famed Sunset Strip, much of John Belushi's life has passed on into the realm of Hollywood legend. But while most icons of the entertainment world have had their lives disected by an endless parade of books, films and magazine profiles, the true story of John Belushi has remained untold—due in large part to the strict silence of John's friends and contemporaries, who have refused to grant any in-depth interviews on the subject since Bob Woodward's controversial Wired. Now that veil of silence has been lifted, and the legend has been recast by those who witnessed it and lived it first hand. Belushi is an epic, unprecedented oral history featuring over a hundred new interviews with Bill Murray, Dan Aykroyd, Harold Ramis, Robin Williams, Lorne Michaels, Chevy Chase, Christopher Guest, and many, many more. It follows John from his early days bussing tables at his father's blue collar Chicago diner, to his apprenticeship with Del Close at Second City, to his watershed work at the National Lampoon, and on to the heights of fame in Saturday Night Live, Animal House and Blues Brothers—all ultimately lost to the tragic downfall he could not escape. More than just a portrait of a man, this book also offers an intimate look at the birth of the SNL generation, a group of unknown actors, writers and comedians who came together in the downtown comedy scene of New York City and, through one late-night television show and a handful of movies, changed the entertainment industry as we know it today. John's role as the ringleader and trailblazer in that revolution is now fully explored for the first time. 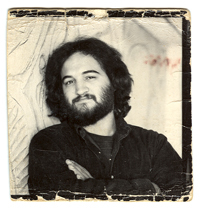 Add to all of that dozens of incredible, never-before-seen photographs from the personal archives of Judith Belushi Pisano, and Belushi is a must-have collector's item for any serious fan of American comedy and entertainment.